Clearwater Florida, on the Gulf of Mexico, is home to award winning beaches, golf, boating, sports, fishing, cycling, shopping and the arts. Amusements parks in Tampa and Orlando. 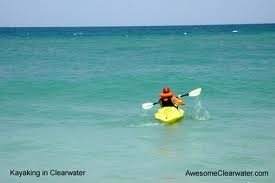 Boat, kayak or canoe to nearby beach islands, Caladesi Beach State Park & Clearwater Beach. Free use of Canoe and Bikes. Or dock your boat or rent a boat nearby, please see Activities tab. This is the fantastic view for you to enjoy while you relax or BBQ! This is the fantastic view for you to relax & enjoy! Satellite View on Google Maps: Here is the beautiful satellite view of the small beach islands nearby. 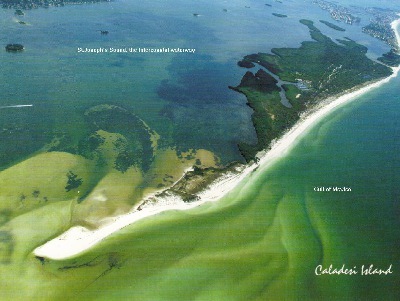 Caladesi Beach State Park is north west and Clearwater Beach barrier island is to the west. You can canoe or boat to all of these gorgeous locations. Salt water, NO alligators in Gulf of Mexico waters. Planning a FAMILY REUNION: this 1/3 acre waterfront property has three homes which sleep 18 to 22 or more. On salt water there are no alligators. Yes we are close to Winter and Hope, the stars of the Dolphin Tale movies filmed at the Clearwater Marine Rescue Aquarium. Movie support people stayed with us during filming. Nestled in Old Clearwater Bay, My Boaters Paradise is close to everything yet an oasis away from the bustle. Boating There is room at the dock for your boat or a boat rental. Two of the boat rental companies have delivered right to the dock for a weekly rental. Email for a full list of boat rentals. The previous owner had the large boat in the photo docked then I docked my 26 foot pontoon and 16 foot center console fishing boat. 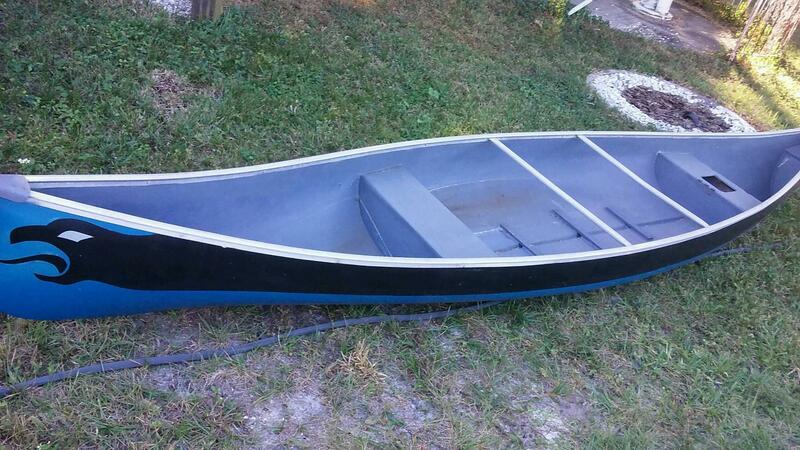 Free use of 16' canoe, life jackets, paddles to explore the beach islands nearby and Caladesi Beach State Park. Bikes There are 4 bikes free for you to use. February 2018 Don and Ruth said "Be sure to book us for a month next winter". March 8, 2017 Ron and Debbie said "The owner was very responsive to all our communications and gave us lots of info about the area. The location on the water was a wild life bonanza." February 28, 2017 Barb said "Quiet scenic home. The view from the deck is great providing an up close look of the birds and fish in the inlet and the more panoramic view of the Gulf of Mexico straight ahead." Nov 2016 Bob said "I spent Thanksgiving week at the 3 bed/2 bath house with my children. We had a very memorable experience there! The house was very clean, sufficiently stocked once we looked a little better. We caught a few redfish from the dock and enjoyed evenings on the upper deck with wine and stories. Truly a great place and well worth the money." July 2016 Forrest said "Hi, I just wanted to let you know that we loved our stay at the house and we had a fantastic time! Thank you so much!" April 2016 Kathy said "At 70 years old my friend got me into a kayak from the dock and we went to Caladesi Beach State Park, not just once, we did it everyday. It is fun to watch the dolphins from the patio and deck but amazing to be in a kayak and see the dolphins close by. Thank You"
May 2016 Greg and Family said "We stayed in Natures Paradise the first time, naming the Pelicans who visit the dock and swoop into the water. The 3 bedroom was available for our 2nd stay and we have booked it again for our 3rd stay in November." FAMILY REUNION.... 5 Generations...July 2016 Bill Giroux said "We are coming back. The owners were gracious and accommodating. My family, tots, teens to seniors from PA had a wonderful time"
July 2016 Angie said "My teen daughters and I are having loads of fun". June 2016, Ian said "The location was great for me and my guests. The house was clean and quiet and the kitchen was well stocked. Thanks"
Saltwater waterways and the Gulf of Mexico have much to offer. Dock your boat or use our canoe to explore the wonders ! Driving with children: We found eating while driving and letting children play ball etc at the roadside parks made the trip easier and faster. Milk, juice, veggies, fruit, sandwich fillings in a cooler and cereal, breads, plates etc in a plastic container. Sheets or blankets on the seats to protect your car. Many age old games pass the time.